Many of us start the New Year with a goal to lose weight, live a healthier lifestyle, or meet a specific health goal that we’ve made for ourselves. As the days, weeks, or even months go by many people don’t follow through and fall back into old habits. If this has been you, don’t worry, I know because I’ve done it and I do it! It’s not easy changing your lifestyle. When we get into any type of routine, it’s much easier to fall back into old habit than it is to create new ones. Since the New Year, I’ve made improvements with my fitness and eating and still have room for improvement. I’m working to make healthier choices for the long-term and taking it day by day. I’m working to remind myself that even one small choice brings me towards where I want to be. I’m focusing on the positives instead of beating myself up when I don’t live up to the standards I’ve set for myself. Even if we have a bad day, week, or month of unhealthy eating or missing workouts, everyday is a new day to make a healthier choice. Every healthy choice made over an unhealthy option is a win. Every workout completed is a win. Focusing on the wins is a lot more motivational than the times we miss a workout or eat an unhealthy meal. When we focus on the negatives, it can get too overwhelming and discouraging. Focus on the wins! I’ve compiled a list of several healthy meal alternatives that I have consistently used throughout my health journey over the last several years. I hope that you find these substitutes to be as helpful as I have! I’m working to find a balance between a healthy lifestyle and everyday life. Incorporating healthy alternatives into my daily life while finding ways to enjoy the food and workouts instead of feeling obligated to eat specific foods or forcing myself through a workout I don’t enjoy. Developing a lifestyle change instead of a temporary fix. Throughout my health journey, I have learned about healthy substitutes for items in my everyday diet. Many of the substitutes, I can’t even taste the difference. The others, I may be able to taste the difference but the difference is minimal enough to where I don’t feel as if I’m missing out on the regular option. I’ll also say, my husband is very picky when it comes to healthy foods and he has approved just about everything on this list (besides zoodles and turkey bacon). When I was introduced to this healthy substitute, I thought I would hate it! My husband and I used hamburger meat for various recipes like spaghetti with meat sauce, tacos, and meatloaf. We now only buy ground turkey and neither of us can even taste the difference! I once bought plain Greek yogurt and mixed it with fresh fruit with a little granola. I had seen so many people share photos of this and it looked so yummy, I thought I’d give it a try. Little did I know, they were buying “Vanilla” and not “Plain” Greek yogurt. As I took a large bite of what tasted like sour cream with fruit and granola, gross, I quickly learned the difference! This little lesson on vanilla vs. plain Greek yogurt is how I learned about using plain Greek yogurt as a substitute for sour cream. I have shared this tip with many people and all agreed, you can’t even taste the difference! I no longer buy sour cream at all. My husband and I have always had spaghetti as a go to recipe throughout the week. Some say to use wheat noodles but I haven’t found a brand that we like. Instead, we found a protein spaghetti that is a healthier version of regular spaghetti noodles yet they still have the same texture and taste as the regular high carb/non-healthy alternative option. The brand we buy also has other noodle in addition to spaghetti noodles. Spaghetti is an affordable and simple way to get in some extra veggies (onions, tomatoes…etc.) without feeling as if you’re missing out. Paired with our other favorite substitute (ground turkey) you have a nice healthy high protein alternative to the high fat and carb regular version. Along with the noodle category, zoodles are a great alternative for an even healthier option instead of regular pasta noodles. Zoodles or Veggie Spirals can be made from many different veggies but I’ve only made them with Zucchini so far. 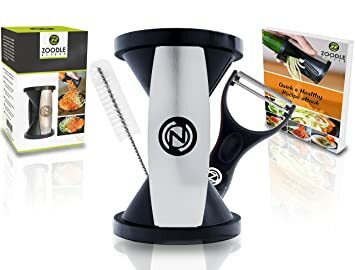 You can buy an affordable veggie spiralizer at your local store or on Amazon. I love this healthy option and it cuts down cook time so much since you don’t need to boil water or pasta. You just spiralizer the veggie and add the sauce. Brown vs. White rice is probably a more popular alternative that you’re aware of. 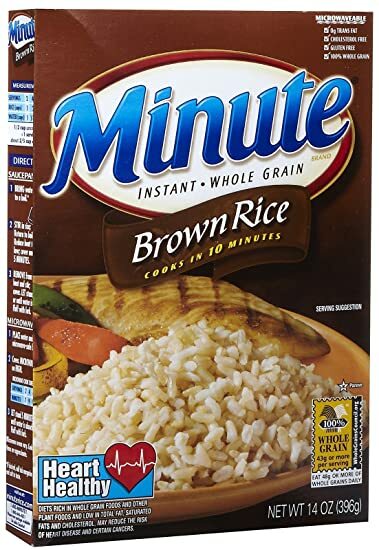 Before changing our eating habits my husband and I only bought white rice not realizing how similar they truly are and how much healthier the brown rice is vs. the white rice. Brown rice is a very simple swap that provides the same flavor but with healthy carbs which you need in your diet, in moderation of course. Growing up, I remember my parents always trying to make this swap, wheat bread vs. white bread. I hated wheat. I’ll be honest, I still enjoy white bread over wheat, but not enough to buy it. Wheat bread has so much more nutrients for your body and as an adult; I now appreciate that enough to buy it even if it took a little getting used to. This is also another alternative that I do, but I don’t enjoy as much as the regular version. 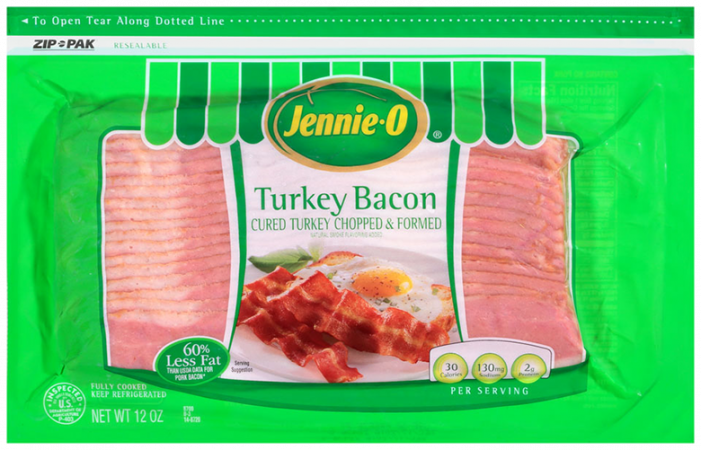 Turkey bacon tastes good and is SO much better for you when it comes to fat and sodium. After having a kidney stone at the age of 23, after my low-carb diet. I realized how important it is to pay attention to sodium intake and how much you are consuming in your diet. I still buy regular bacon every once in a while but overall, I usually buy the turkey bacon as a healthier alternative since it still tastes good, just not as good as regular. I grew up drinking 1% milk and wouldn’t drink anything else until I realized how simple of a change it is to drink skim instead. Really, for me, the difference in taste between milk is minimal and mostly based on texture so once I got over that and continued to buy the skim instead of the 1%, I now prefer the skim milk. I was introduced to Walden Farm condiments by my cousin-in-law (is that a thing?) who told my husband and I about the brand. We used to buy various items with this brand (salad dressing, barbecue sauce) when we were seriously dieting. Some of them are hit or miss but defiantly something to look into since they are zero calorie. They have many different types of condiments. If you are someone who has to have a sauce or dressing, I suggest you try out the brand and see what you like since dressings and sauces can add up in calories very quickly. Almonds have healthy fat, help fill you up, and are a great healthy snack when eaten in moderation. Chocolate covered almonds are so yummy but the added chocolate often adds a lot of extra sugar and fat, making them very unhealthy. These Blue Diamond Oven Roasted Dark Chocolate Almonds are so good and are still a great healthy snack to get your chocolate fix, without the added sugar and fat. Throughout my lifestyle change, I have learned a lot and although the road to a healthier lifestyle change can have its challenges, I believe in making the easiest transition as possible. As I’ve said before, diets don’t work. Instead of buying diet foods that you know you would never buy consistently, find healthy alternatives that help the transition easier and don’t make you feel like you are missing out! Did you find this list helpful? Are there any healthy alternatives you know of that weren’t on this list? I would love to hear them! I’m always looking to incorporate healthy alternatives into my daily diet.